Last week, AHCA/NCAL announced that four new measures and a dynamic dashboard were added for assisted living members on LTC Trend Tracker. Now is the time to get started tracking important quality measures. If you haven't already registered for LTC Trend Tracker, it's easy, just follow the steps here. The LTC Trend Tracker Resource Center has guides and videos to help you get started collecting and uploading data. The resources will walk you through generating a report and navigating the dynamic dashboard. Each month, the LTC Trend Tracker team hosts a Q&A webinar, the next one is November 11th at 1:00pm-2:00pm Eastern. The team will review the newest enhancements for assisted living and members will have the opportunity to ask any questions they have about LTC Trend Tracker. The American Health Care Association continued its legal challenge with the Center for Medicare and Medicaid Services (CMS) this week, filing both a request for preliminary injunction and a supporting memo regarding the recent partial ban on arbitration in skilled nursing facilities. The injunction would bar the Centers for Medicare and Medicaid Services (CMS) from implementing the final rule that bans arbitration agreements in skilled and nursing care facilities. The rule is currently set to go into effect on November 28. The CMS final rule on the Requirements of Participation issued in late September barred SNF providers from offering residents voluntary, binding, pre-dispute arbitration agreements. The rule stipulates that arbitration agreements can only be entered into until after a dispute arises. AHCA is suing CMS, saying the rule violates the Federal Arbitration Act (FAA) and exceeds HHS/CMS statutory authority under the Medicare and Medicaid Acts, neither of which vests the agencies with the power to regulate alternative dispute resolution procedures. Plaintiffs include AHCA, the Mississippi Health Care Association, Great Oaks Rehabilitation and Healthcare Center, Heritage House Nursing Center and the Pavilion at Creekwood. 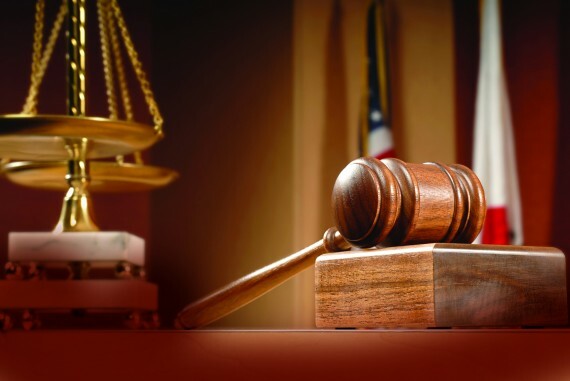 The United States District Court for the Northern District of Mississippi will hear arguments related to the injunction on November 3 and a ruling is expected by November 7. The Departmental Appeals Board (DAB), Medicare Operations Division, which supports the Medicare Appeals Council (Council) at the 4th level of a Medicare appeal, has recently launched an Electronic Filing System (MOD E-File). The MOD E-File will allow appellants to file requests for review to the Council electronically. Appellants, parties, and the public also can use MOD E-File to check the status of appeals. In order for a party to use MOD E-File, the party (or the party's representative) must first become a registered user by registering here. The US Department of Health and Human Services, Administration for Community Living (ACL) has recently announced the release of $1,050,000 to Justice in Aging to create a new National Center on Law and Elder Rights (NCLER). The NCLER will support ACL’s on-going efforts to protect the rights, financial security and independence of older adults. The Center will provide tools to help aging professionals serve older clients and consumers more effectively and serve as an easy single point of entry to a comprehensive system of legal resource support. For more information, contact Omar Valverde at omar.valverde@aoa.hhs.gov or check out www.nlrc.acl.gov. The US Department of Health and Human Services, Office of Inspector General (OIG) has released its updated List of Excluded Individuals and Entities (LEIE) database file, which reflects all OIG exclusions and reinstatement actions up to, and including, those taken in September 2016. This new file is meant to replace the updated LEIE database file available for download last month. Individuals and entities that have been reinstated to the federal health care programs are not included in this file. On September 16, 2016 the Centers for Medicare and Medicaid Services (CMS) published Transmittal 227 which included updated language to Chapter 8 of the Medicare Benefit Policy Manual that describes Coverage of Extended Care (SNF) Services. The policy update is effective October 18. AHCA responded to CMS on September 26 and cited concerns that new policy language regarding the scope and purpose of Medicare’s post-hospital extended care benefit was confusing and appeared to conflict with existing Medicare law and regulations. The AHCA concerns centered on language pertaining to 1) the 3-day hospital stay requirement, 2) the definition of “skilled” services, 3) the 100-day stay benefit period, 4) the “intensity” of services, and 5) the absence of reference to the SNF as a “practical matter” requirement and “skilled maintenance” services. AHCA requested that the language be rescinded until the various concerns could be addressed. Members may contact dciolek@ahca.org if there are questions. Did you attend the AHCA/NCAL Convention in Nashville? If you haven't already, please take a moment to tell us your thoughts about the overall AHCA/NCAL Convention & Expo. We take your feedback into serious consideration as we plan for future events. When you complete the survey, you will be entered for a chance to win $200! Please provide your feedback no later than November 4. This survey is for convention attendees only. Exhibitors will be invited to complete a different survey. 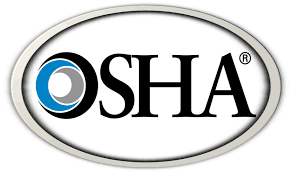 OSHA has updated its Guidelines for Safety and Health Programs. The guidelines are not new mandates, but are recommended practices to prevent workplace injuries that can be implemented in any industry. They are designed to be used in a variety of small and medium-sized business settings, including senior living providers. The Administration has compiled tools, such as a program audit tool to help providers evaluate their safety and health program. The website also includes action items for employers, case studies and additional resources. This update targets seven general areas: management leadership; worker participation; hazard identification and assessment; hazard prevention and control; education and training; program evaluation and improvement; and communication and coordination for host employers, contractors and staffing agencies. We are currently accepting Poster Session proposals for the 2017 Quality Summit in Orlando, March 6-10, 2017. 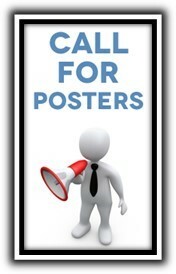 Poster Sessions are excellent forums for communicating interventions, new models of service delivery, and innovative research projects. They provide a fun, interactive learning experience. This will be your opportunity to shine and share all of the great things that you've done at your center. It also provides a wonderful networking opportunity for everyone. All poster session participants will receive a certificate recognizing their participation and 4 will be chosen for a special moderated gallery walk. The deadline to submit is November 22th, 2016. Applicants will be notified on December 14, 2016. For questions contact Urvi Patel at upatel@ahca.org. OSHA has extended the effective date of the anti-retaliation provision in its final rule, Improve Tracking of Workplace Injuries and Illnesses until Dec. 1, 2016. This is an additional extension from the original August date, which was then extended until Nov. 1, 2016. This is one provision of the OSHA rule, which requires nursing centers, assisted living communities, and other employers to electronically submit workplace injuries and illnesses as well as post anti-retaliation protections for workers who report work-related injuries or illnesses. Don't get scared, but you only have until Halloween to participate in NCAL's Faces of Assisted Living project this year. Honor the individuals residing and working in assisted living communities by sharing those everyday moments or special occasions before October 31. It's a great way to recognize an amazing staff member! New this year, Faces of Assisted Living is now accepting photos and stories of the caregivers that make our assisted living communities such a special place. And that's staff at any level: executive directors, nurses, CNAs, dietary aides, housekeeping, you name it. If they have an interesting background or unique passion for working in assisted living, we want to hear from them. Just make sure you have each person pictured sign an AHCA/NCAL image release form, and they may be featured on AHCA/NCAL’s Facebook and Twitter accounts and in future publications. Follow the submissions with the hashtag #FacesofAL. In its October issue, Provider magazine highlighted American Health Care Association Board Chair Tom Coble and the work he has done to support and advance the long term and post-acute care profession. Below is an excerpt from the article, which can be found in its entirety here. For Tom Coble, that calling came as a surprise. After spending 15 years in the oil and gas business, Coble seized an opportunity to purchase a local skilled nursing center with a longtime friend, and he’s never looked back. Before taking up the helm at Elmbrook Home, a skilled nursing, long term care, and rehabilitation center in Ardmore, Okla., Coble had only been in a care center twice in his life: once when his uncle needed care in the mid 1970s and again in the 1980s, when his father required care. It wasn’t until 1993 that Coble walked into a care center with a new mission. Hospital & Healthcare Compensation Service (HCS) is conducting its 19th annual Assisted Living Salary & Benefits Report. Nationally known, the report is recognized as the standard for reliable and comprehensive compensation data for ALFs/Personal Care Facilities. The report is supported by NCAL. The report covers management salaries, nonmanagement wages, and fringe benefits. Last year’s report contained data from over 1,200 assisted living communities across the nation. You can purchase the 2015-2016 Assisted Living Salary & Benefits Report from the AHCA/NCAL Bookstore. Since 1971, HCS has served the healthcare industry by conducting and publishing an array of comprehensive, reliable compensation reports. HCS currently publishes 11 different reports on an annual basis. In addition, the firm conducts custom marketplace studies to support its clients. A complete listing of all HCS products and services is available on their website: www.hhcsinc.com. Assisted living regulations, statutes, and policies in 23 states were changed this year, according to the National Center for Assisted Living’s (NCAL) 2016 edition of “Assisted Living State Regulatory Review.” The association released the latest edition of its annual review today. The annual report summarizes key selected state requirements for assisted living licensure or certification. It includes information on 20 categories, including which state agency licenses assisted living as well as recent legislative and regulatory activity. Additional categories cover requirements for resident agreements, admission and discharge policies, scope of care, life safety, among others. Eight states reported changes to requirements for staffing and training: Calif., Fla., Iowa, Idaho, La., Mass., Minn., and S.C. While the level and types of changes varied, five states reported changes to requirements for units that serve individuals with Alzheimer’s or other dementias: Iowa, La., Mass., Neb., and Ore.
Three states reported different kinds of changes to requirements related to medication management: Del., S.C., and Tenn.
Nine states reported that proposed regulations for assisted living communities are being reviewed for an update: Calif., Fla., Hawaii, Md., N.Y., N.C., Va., and Wyo. California and Florida’s regulations are being updated to reflect legislative changes that have already been enacted. The report also provides contact information for state agencies that oversee assisted living. The full report along with each states’ summary is available online at www.ncal.org. Last week the National Center for Assisted Living sent a letter to the Centers for Medicare and Medicaid Services (CMS) about concerns on the implementation of the home and community-based services (HCBS) waiver final rule. 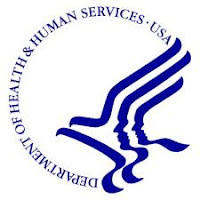 The rule, published in January 2014, presumes that certain settings are institutional and thus ineligible to provide Medicaid HCBS unless they overcome the presumption during a heightened scrutiny review from CMS. These settings include those in a publicly or privately owned facility that provides inpatient treatment, those located in a building on the grounds of or immediately adjacent to a public institution, or those that have the effect of isolating individuals receiving HCBS from the broader community. NCAL noted concern that the rule could ultimately exclude many AL communities from the Medicaid program. These exclusions would reduce access to this type of home and community-based setting and therefore significantly increase Medicaid expenditures because AL residents would be left with no options other than costlier intuitional settings. NCAL requested more guidance from CMS, specifically on: (1) operationalizing PCC for people with dementia; (2) criteria for AL communities to overcome a heightened scrutiny review for home and community-based settings that are co-located with or adjacent to an institutional setting; (3) CMS’ process for heightened scrutiny review, including CMS’ timeline for response to settings submitted for review, opportunities for the state or settings to amend files during review, and appeal rights; and (4) response to confusion about how to operationalize CMS’ guidance on new construction (published in April 2016). NCAL also urged CMS officials to visit assisted living communities to ensure that forthcoming guidance reflects the current preferences of AL residents and the true nature of AL communities. Such visits should include communities offering memory care, co-located with a nursing center, and located in a rural area. In a similar letter sent last month, U.S. Sens. Susan Collins (R-Maine) and Claire McCaskill (D-Mo. ), co-chairs of the U.S. Senate Special Committee on Aging, urged CMS to provide information regarding the criteria for determining certain settings ineligible to be a Medicaid HCBS provider. Today the American Health Care Association and National Center for Assisted Living (AHCA/NCAL) elected AHCA’s Board of Governors and NCAL’s Board of Directors for the 2016-2017 term. Tom Coble of Oklahoma was elected for a second term as AHCA Chair, and Christian (Chris) Mason of Oregon was re-elected as NCAL Chair. New to the AHCA Board of Governors were Not-For-Profit Representative Gary Kelso (Utah), Affiliated State Health Care Association Executives (ASHCAE) Representative Dirk Anjewierden (Utah), and At-Large Board Representative Janet Snipes (Colorado). New members to the NCAL Board of Directors include ASHCAE Vice President Veronica Sharpe (Washington, D.C.) and At-Large Representative Gail Sheridan (Minnesota). Coble is CEO of Elmbrook Management Company in Oklahoma. He has been a board member of the Oklahoma Association of Healthcare Providers since 2000 and began serving on AHCA’s Board of Governors in 2011 in various roles. 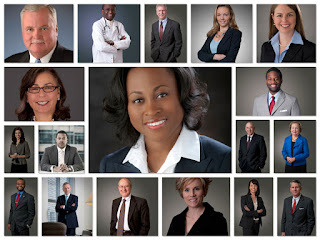 Coble spent over 15 years working in the oil and gas industry prior to entering the long term care profession in 1993. He is now recognized as an expert and spokesman in the profession, delivering expert testimony before committees of the U.S. Congress and the Oklahoma State Legislature. Coble also represented AHCA at The White House Conference on Aging in 2015, which marked the 50th anniversary of Medicare and Medicaid. • Phil Fogg of Oregon, At-Large Board Representative. • Chris Mason of Oregon, NCAL Representative. NCAL also elected its Board of Directors today, including the re-election of Mason as Chair. He is the president and chief executive officer of Senior Housing Managers, which operates assisted living, residential care communities and nursing centers in multiple states. Mason’s career in long term care spans 30 years. He was elected to NCAL’s Board in 2006 and is an active member of the American College of Health Care Administrators. • Shawn Scott, ABM Representative. As the AHCA Chair, Coble also serves as an ex-officio member on the NCAL Board. Members of the AHCA Board of Governors are elected annually by the association’s governing body, the Council of States. The NCAL Board of Directors is elected by current members of the NCAL Board and by NCAL State Leaders or the NCAL State Leader’s proxy. Both are elected annually at Convention. The AHCA/NCAL Convention & Expo is always the event of the year for long term and post-acute care providers. And this year’s Convention promises to deliver with inspiring keynotes, robust education, and fruitful networking opportunities—all in the electrifying town that is Nashville. It’s a celebration 10 years in the making! Start the week off right with Sunday’s event exclusively for assisted living providers. We’ll have a full day of sessions covering the hot topics as well as a moving awards ceremony. Note: NCAL Day is a separate ticketed event that must be purchased in addition to any convention package. If you do not have your ticket to NCAL Day, please go to the registration desk to purchase. Anytime you see this icon in the program book or in the Convention app, that means the education session is applicable to assisted living providers. Come learn about the new assisted living measures in LTC Trend Tracker, and how you can use this member resource to your advantage. That’s just scratching the surface of what Convention offers. We can’t wait to see you there! Please note: Advance registration for the AHCA/NCAL 67th Annual Convention & Expo is now closed. If you would like to attend our event, registration is available. You may register on site in Nashville beginning on Sunday October 16 at 6:45 a.m. The Center for Medicare and Medicaid Services (CMS) has released a final rule that includes a regulation that prohibits pre-dispute arbitration agreements. The regulation allows for voluntary post-dispute arbitration agreements; but there are certain conditions that must be met even with a post-dispute arbitration agreement. The regulation also allows another individual to sign the arbitration agreement under certain conditions. The regulation is effective on November 28, 2016, and is not retroactive. If a center enters into a pre-dispute arbitration agreement up through Nov. 27, 2016, it is still a valid agreement. See § 483.70(n). The Program for Evaluating Payment Patterns Electronic Report (PEPPER) retrieval rate for PEPPERs accessed via the PEPPER Resources Portal for each state has recently been updated. By going to Map of SNF PEPPER retrievals by state, you can see the number of SNF PEPPERs accessed via the portal, the retrieval rate, and a link to the data file for all the states in the US. This map will be updated monthly. If you haven’t accessed your PEPPER yet, visit Distribution Schedule - Get Your PEPPER page, and follow the instructions. The PEPPER is an educational tool that summarizes provider-specific data statistics for Medicare services that may be at risk for improper payments. Providers can use the data to support internal auditing and monitoring activities. Visit PEPPERresources.org to access resources for using PEPPER, including user's guides, recorded web-based training sessions and a sample PEPPER. In the last four decades, “growth of the Medicaid Fraud Control Units (MFCU) program…as well as changes in MFCU practice, healthcare, and the workplace have led to the need for many amendments to the regulation,” according to the agencies. The proposed rule also would incorporate statutory changes affecting MFCUs, as well s policy and practice changes that have occurred since the regulation was initially issues in 1978. These changes include a codification of OIG’s delegated authority, MFCU authority, functions and responsibilities, disallowances, and issues related to organization, prosecutorial authority, staffing, recertification and the MFCUs relationship with the state Medicaid agencies. AHCA/NCAL will submit formal comments on the November 21, 2016, the due date. According to an alert from Jackson Lewis, the U.S. Department of Labor (DOL) has released final regulations on September 30, 2016, implementing President Barack Obama’s Executive Order 13706, requiring up to seven days of paid sick leave for workers on federal contracts. The Department estimates that the Final Rule will provide paid sick leave to about 1.15 million workers employed by Federal contractors. The Final Rule specifies the contracts and employees covered by the EO, as well as rules for how sick leave will accrue, when it can be used, and how the Department will ensure that covered employers comply with these new requirements. Executive Order 13706 applies to new contracts and replacements for expiring contracts with the Federal Government that result from solicitations issued on or after January 1, 2017 (or that are awarded outside the solicitation process on or after January 1, 2017). Key requirements of the final rule are discussed in the Jackson Lewis article and this Employee Benefit Adviser article. In addition, DOL has released a fact sheet and frequently asked questions you might find of assistance. As you know from previous AHCA communications, Medicare (Parts A and B) or Medicaid providers are not considered to be federal contractors. However, if a provider currently has VA patients and a VA contract, they are considered to be a federal contractor. Since VA contracts are covered by the Service Contract Act, this Executive Order applies to such contracts. AHCA continues to work with our Congressional champions on getting VA provider agreements across the finish line, and taking those with VA contracts out of the scope of being deemed a federal contractor. Last Thursday, October 6, AHCA’s Associate Vice President of Therapy Advocacy, Daniel Ciolek, spoke at an American Heart Association/American Stroke Association breakfast briefing on the associations’ first ever evidence-based guidelines that are “intended to optimize the rehabilitation and recovery of stroke survivors.” According to the briefing notice, “Nearly 800,000 Americans have a stroke each year, and the rehabilitative care and support a patient receives can have a significant impact on his or her ultimate recovery.” Mr. Ciolek was one of five invited expert panelists speaking on the guidelines, and was the leading voice on the skilled nursing center perspective. The panel discussed topics on how the 227 recommendations in the stroke rehab guidelines could be applied to fill in the gaps in stroke rehab research, align with the new IMPACT Act quality measures, improve interdisciplinary care coordination across the continuum, and improve overall patient care. It was notable that the guideline authors and other panelists pointed out that one of the recommendations indicating a preference for IRF over SNF created some controversy, and acknowledged that many SNFs have the facilities and capabilities to furnish intensive stroke rehab with good outcomes. 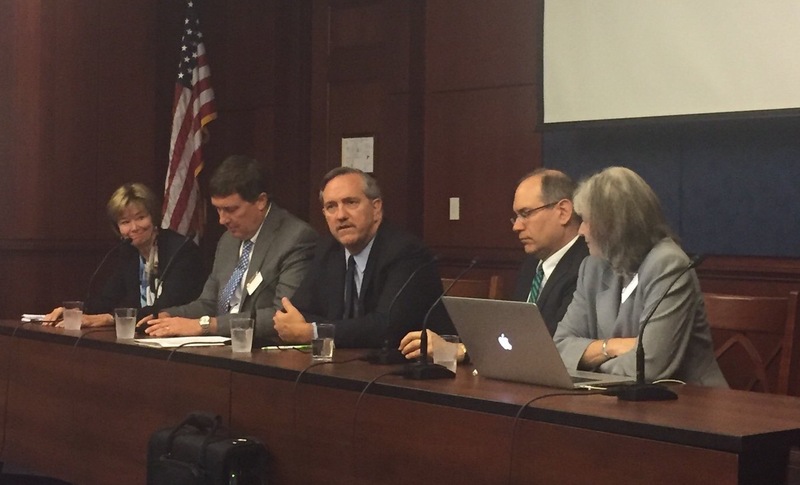 During the panel, Mr. Ciolek focused on the fact that new payment models must meet the acute and chronic care needs of the stroke survivor. He provided examples where outpatient therapy cap policy and third-party prior authorization processes are counterintuitive to facilitating care coordination and transitioning care to meet the rehabilitation needs of stroke survivors. Ciolek noted that stroke survivors across the country need rehab, and many SNFs near their homes have stepped up their game to fill in the void. He agreed with other panelists that hospitals, physicians, patients and their families should ask a potential SNF about their facilities, staffing, expertise, and experience with rehabilitating stroke survivors. With regards to patient-centered care, Mr Ciolek cited research that the lack of common language as a patient moves from setting to setting is a key barrier to successful outcomes - and that the standardization of functional assessment information and outcomes measures across settings required by the Improving Medicare Post-Acute Care Transformation (IMPACT) Act that became law in October 2014 should improve coordination at care transitions - but only if the information is shared. Finally, with regards to the stroke rehab guidelines document, Mr. Ciolek stated that overall they are a helpful step as they can be used by SNFs as an aspirational document to improve their assessment and treatment approaches, and to fill in gaps in stroke rehab care not covered yet by IMPACT measures. Moderating the panel discussion was Dr. Daofen Chen (Program Director of Sensorimotor Systems & Neurorehabilitation Research at NINDS/NIH Neuroscience Center. Other panelists included Dr. Alexander Dromerick (Chairman and Professor of the Department of Rehabilitation Medicine at Georgetown University Medical Center and Vice President for Research at MedStar National Rehabilitation Hospital), Dr. Joel Stein (Simon Baruch Professor of Physician Medicine and Rehabilitation at Weill Cornell Medical College and Professor and Chair of the Department of Rehabilitation Medicine at Columbia University College of Physicians and Surgeons), Dr. Mary Beth Walsh (Board Member of the American Medical Rehabilitation Providers Association and Executive Medical Director of Chief Executive Officer of the Burke Rehabilitation Hospital), and Dr. Carolee Winstein (Professor of Biokinesiology and Physical Therapy and Director of Motor Behavior and Neurorehabilitation Laboratory at the University of Southern California). Frank ‘Chip’ Celestano, MD, a stroke survivor also provided a patient perspective of the short- and long-term challenges of recovering from stroke and obtaining therapies necessary to improve his function. For more information on this briefing, please feel free to contact Dan Ciolek at dciolek@ahca.org, or AHCA’s Senior Director of NFP & Constituent Services, Dana Halvorson, at dhalvorson@ahca.org. The Centers for Medicare & Medicaid Services (CMS) has contracted with RTI International to develop Functional Outcome Quality Measures for Skilled Nursing Facilities (SNFs). As part of its measure development process, CMS is seeking public comments on the proposed functional outcome measures. The public comment period for these measures opened on Friday, October 7, and will close on Friday October 28th, 2016. The Call for Public Comment can be found on CMS’s public comment webpage at https://www.cms.gov/Medicare/Quality-Initiatives-Patient-Assessment-Instruments/MMS/CallforPublicComment.html. AHCA is planning on submitting comments to FunctionQMs@rti.org by the closing date October 28th, 2016. AHCA members may submit comments directly to the measure developer email address by this date. Additionally, AHCA members can contribute to the AHCA response by submitting comments to Dan Ciolek, AHCA’s Associate Vice President, Therapy Advocacy at dciolek@ahca.org no later than Friday, October 21. 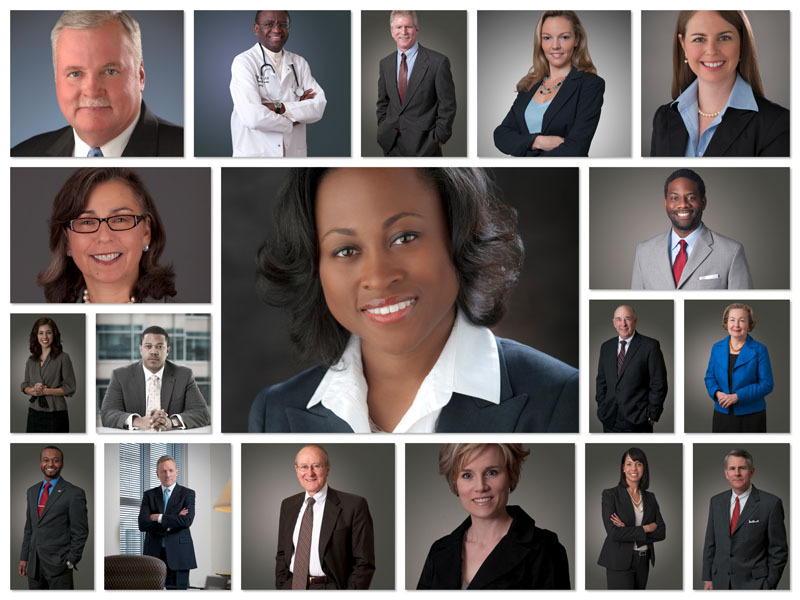 Stop By the Long Term Care Career Center’s Headshot Lounge in Nashville! The AHCA/NCAL 67th Annual Convention and Expo begins on Sunday and this year’s convention features a new activity for AHCA/NCAL members. Thanks to the generous support of PointClickCare®, the AHCA/NCAL Long Term Care Career Center, is hosting a Headshot Lounge for AHCA/NCAL member attendees. The Headshot Lounge will be open on Monday and Tuesday from 8 a.m. to 4 p.m. in room Jackson F of the Gaylord Opryland. AHCA/NCAL members are encouraged to drop by the Headshot Lounge to get a free professional headshot. The’Long Term Care Career Center’s Headshot Lounge will be a great opportunity to network and get a new personal photo emailed to you to use for your professional needs. Start practicing your best smile now and be sure to stop by the Headshot Lounge in Nashville next Monday or Tuesday. 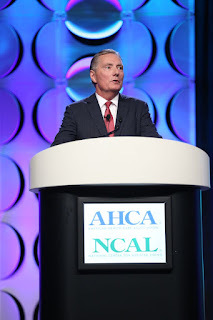 The AHCA/NCAL Annual Convention is always an exciting time for those engaged in the National Quality Award Program. Not only are the newest recipients recognized, and preparatory education offered for all three award levels, but some of most exciting networking of the year takes place. An interesting phenomenon has been reported by staff and Examiners however; many new Bronze recipients report their intent to apply at the Silver level in the coming year. While this engagement is encouraging, it is troubling that many indicate that they have not yet read the Silver criteria. Historically, the Quality Award Program has received many premature applications at the Silver level. These applications describe processes that are not developed to the extent that examiners can provide focused, meaningful feedback that can be used by applicants to drive improvements at the center. We believe that many of these applications are the result of center leadership making the decision to apply (and often beginning to write an application), prior to carefully considering the demands of the criteria across the center. We call this practice “writing before reading”. Although these applications may be premature, they nevertheless represent significant effort and cost to the centers that produce them. In most cases, this effort may be better spent in using the criteria to evaluate and improve processes. The program is currently pilot testing a Silver self-assessment instrument that will help Bronze recipients evaluate the degree to which their center’s processes address the key demands of the criteria, and the degree to which trended data with appropriate comparisons can be reported across areas important to center success. This instrument is designed to not only help a center’s senior leadership determine if their center is ready to apply, but if not, where the key blockers to application-readiness are. Although still in draft form, we are already hearing that this instrument is proving helpful to our future Silver applicants. Check out a beta version of the assessment on our Silver Award webpage and stay tuned for the final version coming out later this year. As always, please contact us at qualityaward@ahca.org if you have any questions. And don’t forget about these important dates coming up! What if a measure is not available for my center? Some of the required measures may not be available to all applicants. In this case, applicants will need to provide a clear and legitimate reason why a result measure could not be obtained. This may be reviewed and exceptions may be granted on a case-by-case basis. For example, AHCA/NCAL Quality Award staff are aware that Five Star results do not apply to Assisted Living Communities. For the Five Star results, simply write “Five Star is not available for AL” and provide another applicable result in that category to replace this measure that your AL community has. Not reporting Five Star as an AL community will not affect the evaluation of your application in any way as long as you include "Five Star is not available for AL". For the other required results, if you are not able to provide the result, you will need to provide a more extensive explanation. As a reminder for Silver Applicants, if a required measure is not available and a clear and legitimate explanation is provided then applicants will need to submit another measure in its place to meet the minimum results requirement for that category item. What else do I need to include for the required results? For all required results, the term REQUIRED is to be written with the measure/figure to differentiate the measures for Examiners. Has anything else changed for the Results category? Data sources are to be included on the graph/chart in both Silver and Gold applications for all results. If a data source for a particular result is not provided, that result will not get credit for comparative data. These measures were deemed important by the National Quality Award Program and approved by the program’s Board of Overseers. The program will update these required measures accordingly in the future as the long term and post-acute care industry continues to evolve and as new outcomes and measures may emerge. If you have any questions, please email Quality Award Staff at qualityaward@ahca.org. The National Quality Forum (NQF) has released the final report from its Home and Community-Based Services (HCBS) Committee: Quality in Home and Community-Based Services to Support Community Living: Addressing Gaps in Performance Measures. Under a contract with the Department of Health and Human Services (HHS), NQF convened a committee to develop recommendations for prioritization of measurement opportunities. AHCA/NCAL has been following this work closely, keeping members informed, and submitting comments with each report. drafted recommendations for prioritization in measurement. During the project, three interim reports were released, which can be found on the NQF website. The final report includes global recommendations to improving quality measures in HCBS, the suggested measurement domains and subdomains, examples of measure concepts relevant to each subdomain, and recommendations for each domain. The committee has also identified characteristics of high-quality HCBS. Support quality measurement across all domains and subdomains. Build upon existing quality measurement efforts. Develop and implement a standardized approach to data collection, storage, analysis, and reporting. Ensure that emerging technology standards, development, and implementation are structured to facilitate quality measurement. Triangulate assessment of HCBS quality using an appropriate balance of measure types and units of analysis. Develop a core set of standard measures for use across the HCBS system, along with a menu of supplemental measures that are tailorable to the population, setting, and program. Convene a standing council of HCBS experts to evaluate and approve candidate measures. NCAL will continue to monitor how HHS proceeds forward with the recommendations and keep members informed. The comments outline our key concerns and highlight research on the current state of bundled payments. AHCA recommends to CMS that they halt expansion of the proposed bundling initiatives until it has formally evaluated 12 months of data from the CJR demonstration, beginning with the start of downside risk-bearing on January 1, 2017. For comments or questions on this proposed rule or the AHCA submitted comments, please contact James Michel, Senior Director, Medicare Reimbursement & Policy at AHCA/NCAL. The Centers for Medicare & Medicaid Services (CMS) has posted an updated fact sheet with information on requirements for the Skilled Nursing Facility (SNF) Quality Reporting Program (QRP) FY 2018 reporting year (data collection period October 1 through December 31, 2016). This update includes information on the claims based measures as well as MDS based measures. The claims based measures will be calculated using Medicare FFS claims and thus, will require no additional data collection on the part of providers. Visit the SNF QRP website for more information. As many of you know, the final Requirements of Participation became available last week and will be published in the Federal Register on October 4, 2016. AHCA immediately issued a press statement. AHCA is providing members with information, tools, and resources to help you be successful in the implementation of the requirements. To begin that effort, AHCA has hosted two webinars to brief members on the new requirements. Both webinars included a high-level summary of the changes followed by a focus on the first phase of the three-year phase in. Recordings of the webinars are posted online here. As a reminder, there will be a three-hour intensive seminar about the final rule on Sunday, October 16, in Nashville at the AHCA/NCAL Annual Convention. The session is titled Requirements of Participation: A Deeper Dive into Key Changes and will be held Sunday from 1:00 PM – 4:00 PM in Governor’s Ballroom B at the Gaylord. Please note that conference attendees DO NOT need to pre-register, RSVP, or sign up for this session. It is included in the full convention meeting package. Call for Questions: Ask the Quality Experts at the AHCA/NCAL Convention & Expo! The 2016 AHCA/NCAL Convention & Expo will feature an all-new opportunity for members to get their quality questions answered by some of the best leaders in the field during the Quality Award Ceremony on Tuesday, October 18. Immediately after 2016 Quality Award recipients are recognized, President and CEO Mark Parkinson will moderate a discussion among four experts who have successfully led quality improvement efforts at their organizations. Do you have a question for our panel about achieving your quality goals? Click here to submit your question by Friday, October 14! Linda Austin is co-owner and administrator of Knollwood Manor, a Five-Star skilled nursing care center and 2014 Bronze National Quality Award recipient, and The White House Assisted Living, a 2016 Bronze National Quality Award recipient, in Lafayette, TN. Linda is an active member and current president of the Tennessee Health Care Association. Lori Cooper is the chief operating officer of Healthmark Services, Inc., which owns Stonebrook Healthcare Center in Concord, CA. Lori serves on the Executive Board for the California Association of Health Facilities, represents California on the Quality Improvement Committee, and serves as a master examiner for the AHCA/NCAL National Quality Award program. Ed McMahon is the vice president of quality for Sunrise Senior Living. Ed served on the AHCA Quality Committee that developed the AHCA/NCAL National Quality Award program and continued with the program as an original, senior and master examiner. Glenn Van Ekeren is the president of Vetter Health Services in Omaha, NE. Glenn is also a professional public speaker who addresses how to maximize people and organizational potential as well as a published author of several books and an inspirational blog. Get Involved with the AHCA/NCAL National Quality Award Program! The AHCA/NCAL National Quality Award Program is recruiting for Examiners and individuals to join its Board of Overseers -- two exciting opportunities for AHCA/NCAL members to get involved! Serving as an Examiner is an incredible opportunity for individuals interested in continuous quality improvement. Members who participate as Examiners have a much better grasp of the criteria and can use that knowledge to improve their organizations and/or submit a National Quality Award application. It's also an excellent networking opportunity; Examiners gain professional contacts throughout the country, and make life-long friendships through the program. A serious commitment, both in time and impact to the program, Examiners are required to attend a 3 day in-person training session, before working in teams over a 12-week period to review their assigned applications. Examiners estimate spending 40-60 hours reviewing applications, in addition to required weekly conference calls with their teams. The process culminates with a required in-person review session. AHCA covers the travel expenses associated with all required meetings. For more information and to submit an application, please visit the 2017 National Quality Award Examiner website here. Establish the award criteria and appropriate policies and procedures to administer, promote, and preserve the credibility of the National Quality Award program. Evaluate all aspects of the Program, including the adequacy of the criteria and the processes for determining award recipients. Assess how well the program is achieving its mission. Develop yearly goals and measures. Report to AHCA/NCAL Leadership and the AHCA Board of Governors as appropriate. Elected members will serve a 3-year term on the Board. The deadline to apply is November 11, 2016. For more information and to apply, please visit the Board of Overseers Recruitment website here.